Lymphedema is a condition that is relatively unknown to most people. Lymphedema is a buildup of lymph fluid in the fatty tissues just below the skin. The buildup of lymph fluid causes the affected area to swell. Most people relate lymphedema to people who have had breast cancer surgery and lymph node removal; however, any change in the structure of the lymph system puts a person at risk for lymphedema. Surgery, cancer, radiation and infection can cause a secondary lymphedema, due to the affects these have on the skin. In addition to swelling, secondary lymphedema can cause decreased circulation of lymph fluid throughout a person’s body. Although rare, people can be affected by congenital or primary lymphedema. This form of lymphedema is not directly attributed to another medical condition. It happens as a result of genetic mutations that cause the lymphatic system to develop improperly. The signs and symptoms of lymphedema are swelling in the affected area, which can include the arm, leg, head, neck, abdomen, etc. ; a feeling of heaviness or tightness in the affected limb or area; difficulty fitting into normal clothing or jewelry; restricted range of motion or use of an extremity; recurring infections; and, hardening or thickening of the skin. If a person experiences these symptoms it is very important to address them with their healthcare provider as soon as possible. The good news is lymphedema can be treated. The treatment for lymphedema can vary depending upon the severity of the symptoms. If caught in the very early stages, a compression garment can help prevent the symptoms from worsening. If the lymphedema has progressed, a specialized lymphedema therapist provides treatment called Complex Decongestive Therapy, or CDT. This treatment therapy involves skin care, manual lymph drainage, special compression bandaging, specific exercises and fitting for a compression garment. In addition, patients are provided extensive education to prevent the lymphedema from worsening. Successful patient outcomes are increased by preventing infection and educating the patient and their caregivers about a home program to sustain what was accomplished during therapy. The goal of therapy is to improve quality of life so they can maintain an active, healthy lifestyle. 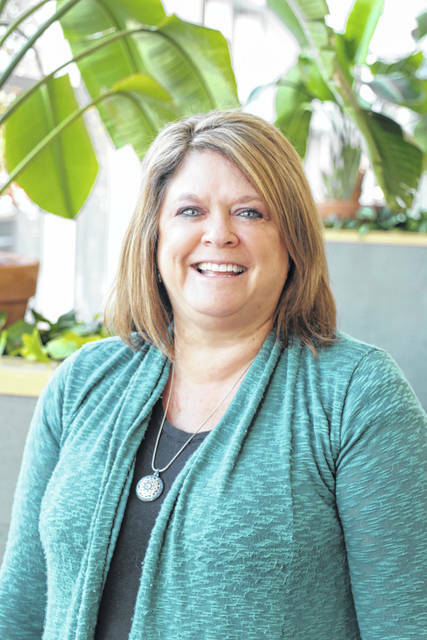 Lima Memorial Health System offers this specialized lymphedema treatment therapy in two locations — the main hospital and at the Wellness Center, located at the YMCA. Treatment is offered by a Lymphedema Certified Occupational Therapist. If you feel you might have symptoms of lymphedema, please speak with your primary care provider, so a referral can be made. This is a therapy that is covered by most insurances, but an order from your provider is required. To learn more, call 419-226-5045.